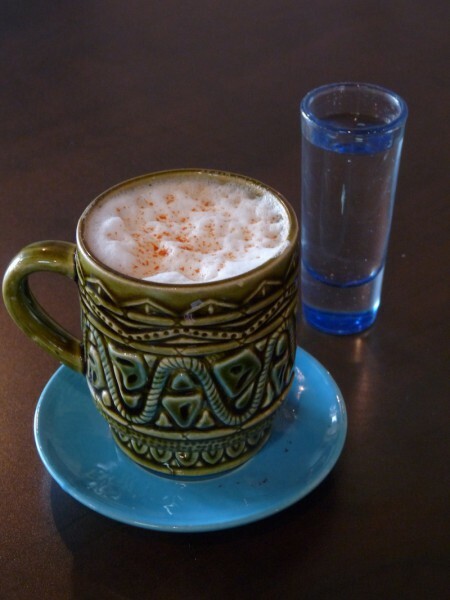 Mayan Buzz Cafe is showcasing tastes of Central America through sandwiches, tea and coffee, all the while emphasizing the value of the city's youth. In 2012, the Mayan calendar predicted the end of the world. Two years later, one Mayan man wants to spread a different message. 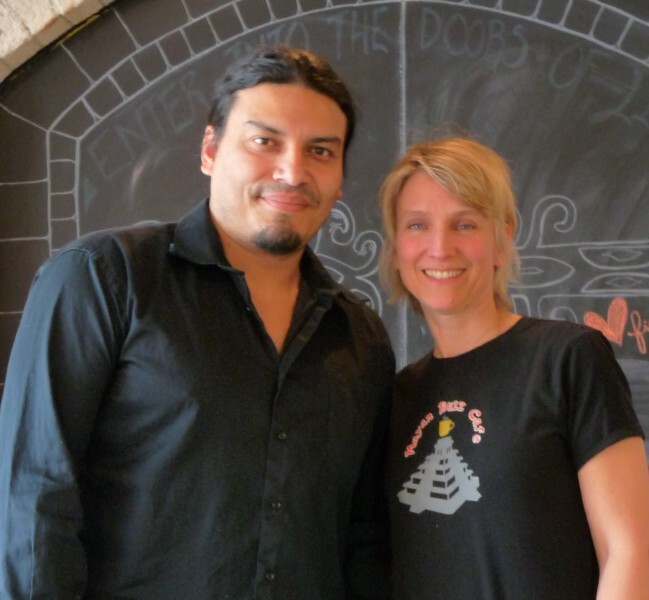 Medina, who was born in Honduras, co-owns Mayan Buzz Café with Mary Rose. The 24-hour café and tea house, located across the street from Founders at 208 Grandville Avenue, is the only around-the-clock coffee location in the downtown area. 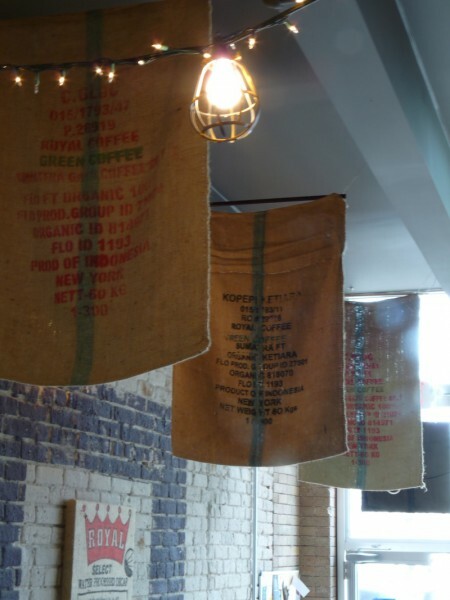 They’re also the only coffee house serving fair-trade, organic drinks with a dash of Mayan spice alongside food prepared in Central American traditions. The café has a Central American lunch special every day, and all of their sandwiches are available at any time. The owners are eager to teach people about Central American cultural traditions and foods, and recently hosted a group of Grand Valley students before a study abroad trip to El Salvador. As students sampled El Salvadorian cuisine, a Grand Rapids local originally from El Salvador (who is also the Mayan Buzz electrician) answered questions that students had about the region. “Young people are changing the concept of what North America used to be by embracing minority and outside cultures. We’re providing a bridge for that,” says Medina. The café also hosts an open-mic poetry night every Thursday. Younger people make up the majority of the performers. Medina says that part of the café’s purpose is to provide a space where young people can be themselves and feel respected. Medina’s empathy for young people originates from his upbringing in Honduras. His mother died when he was 7 years old and Medina, the eldest of his family, had to help raise his siblings. Medina says he plans to return to Honduras within the next five years to open a children’s clinic. Mayan Buzz Cafe has been going strong for six months now. Medina and Rose credit their success to their financial partner, Shannon Nielsen, and to the support of surrounding businesses and to their customer base. Medina spent the first six months working a 12-hour shift every day and only recently has lessened his hours. Now Mayan Buzz is hiring. Medina hopes to split time between Honduras and Grand Rapids after the children’s clinic opens. Right now, he wants people to know that they always have somewhere they can go for coffee and sandwiches in Grand Rapids.